I would never expect that something like the ecocamp could change my way of thinking about nature. When I came back from the mountain Tara I had a feeling that my own town wasn’t a place that I wanted to live in. Everything was grey and cold! That’s when I realized the value of spending time in nature. Nature is something that provides us with life so we have to care about it and treat it respectfully. The Ecocamp is surely something that I want to be a part of every year! Now I think differently about nature.The environment should be given importance, for example, its usefulness, especially for man and animals. Environment provides food and shelter which man and animals need to survive. Without it they can’t live in this world with satisfaction. As long as the man is not satisfied the world is in danger. When I look at nature I see life, I see beautiful sites of forests and high mountain peaks that I want to be part of, that I want to explore! That’s how the ecocamp changed my way of thinking. Now I have motivation to do something, little things that can help saving the world! And I know that I am not alone. I met people that are motivated to do anything that’s in their power to do the same thing! 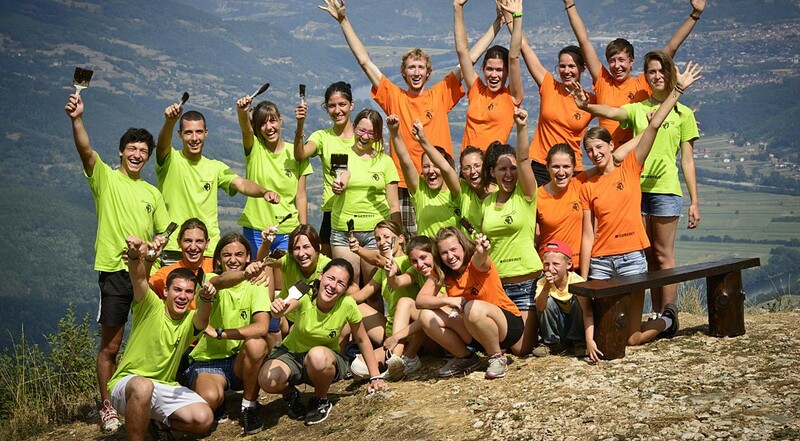 The ecocamp was full of enjoyment and was a real pleasure for me. I almost didn’t know anybody when we arrived in Tara, but after 10 days I think we all got the feeling as if we had known each other for our whole lives. I made a lot of friendships there and I think that is the most precious thing. We all had fun through games and many other activities. The part I liked the best was the clean up held in Kraljevo at the end of the camp. The message was not that we will clean after other people, but to show them what nature means to us and how one should protect it. The Ecocamp was the perfect experience for my friends and me. We learned that we can easly live in harmony with nature, without modern tehnology. Also, we realized that we are part of nature and that we don’t own it but nature owns us. We had so much fun in our teamwork, we connected with the environment and we built strong friendships. The firelight of the days we spent on the camp were the campfires at the end of the days, when we were singing,talking about activities we played together that day and planing activities for the next day. That 10 days were the best part of the year for me, and I can’t wait for another Ecocamp! The camp surely changed our views about nature and the ecology of our planet. But personally I liked the friendships that we made among each other best. Especially because I was in a tent with people that I did not know before and by the end of the camp we knew each other very well, and most importantly: We we stayed in contact with each other and made friends for life.